To get the most from your pool, you need a pool pump that operates effectively, efficiently and quietly year round. 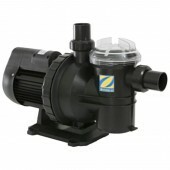 Zodiac pool pumps will keep your pool in good health! It's important to size your pool pump correctly. This will ensure that your pool runs optimally, resulting in fewer problems, easier maintenance, lower energy costs and longer equipment life. As a general rule of thumb, the larger your pool, the larger the pump you need, and the more it will cost to run. The equipment you install on your pool will also have a major influence on the size of pump you require. Pool cleaners, solar heating and water features, all require more energy and power than is required to simply pump water through the filtration system.